I made everything on my own. 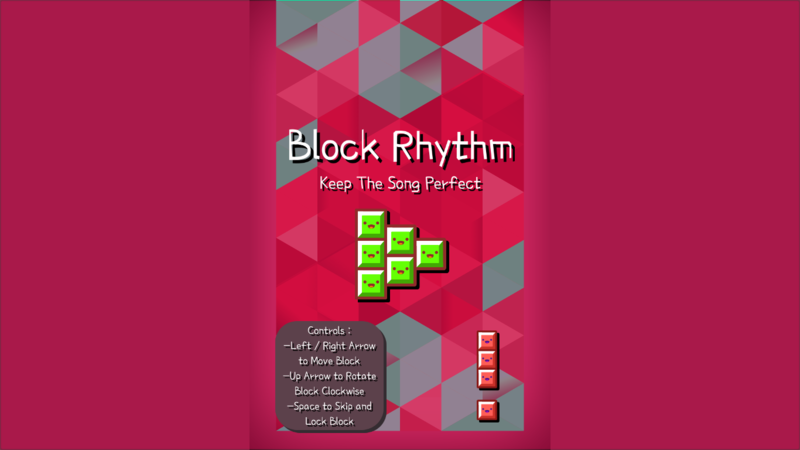 Block Rhythm is a Tetris-themed song making game! 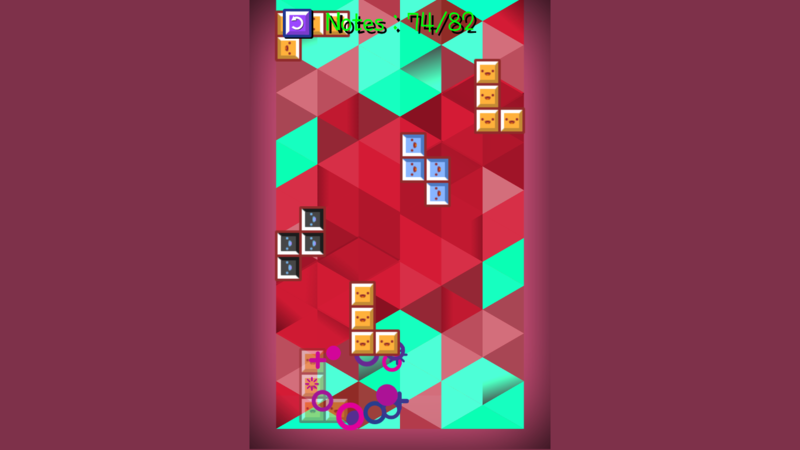 The goal is to keep the song perfect by placing the tetris block accurately as it's ghost by moving and rotating it. 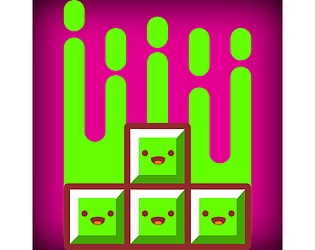 Even knowing that the faces had to be oriented correctly, I could have sworn at first that the game was punishing me for pieces I had positioned correctly. When I played a second time, it did seem to be me that was screwing up after all! Having said that, I did find that some pieces came to rest a whole row above others, and that this was quite disorienting. haha yea, sorry if it's too hard for you! it is indeed true for some people... I should have added several modes with different difficulties.... if I may now, how many percentage do you get? Neat concept! It took me a bit of time to understand that the faces were supposed to be aligned. And even so, it can be difficult to read sometime. But other than that, it's quite nice to play! And the ending is a nice touch. Well done! Took a while to figure out that I don't have to hit space when the block reaches its shadow - that I can just leave the block in the correct position and move to the next one. Sometimes it felt like the game punished me even though I did everything correctly. Overall a nice concept and I think it could be developed into something really cool. What if you'd have to do all actions in time of the music? yea for that problem, although you position the block correctly, you also need to make sure that the block's face orientation is the same as it's shadow! but anyway, thank you for playing and rating my game :)! Lovely graphics, really fitted together nicely. I'm not sure the positioning is spot on as sometimes I definitely had the block in the right place and it still failed me. 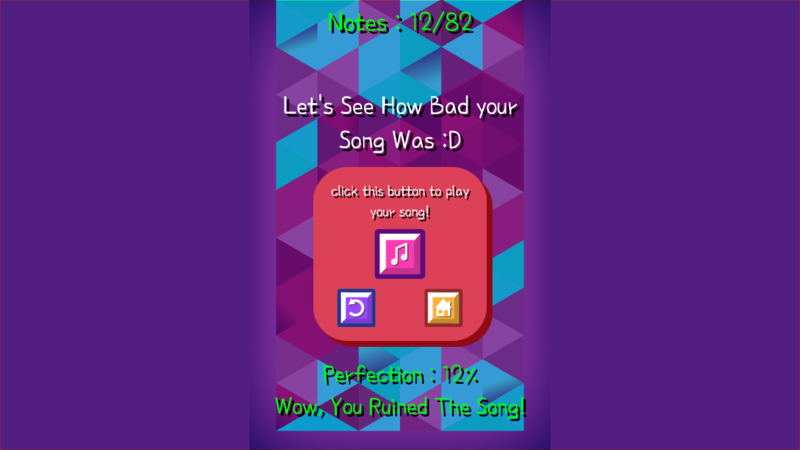 While playing I was concentrating on the bottom of the screen, and just glancing to the top to see my progression in the song caused me to miss a block - maybe the notes counter could be at the bottom? I did love the bit at the end, replaying the song - that was really nice and a great touch. 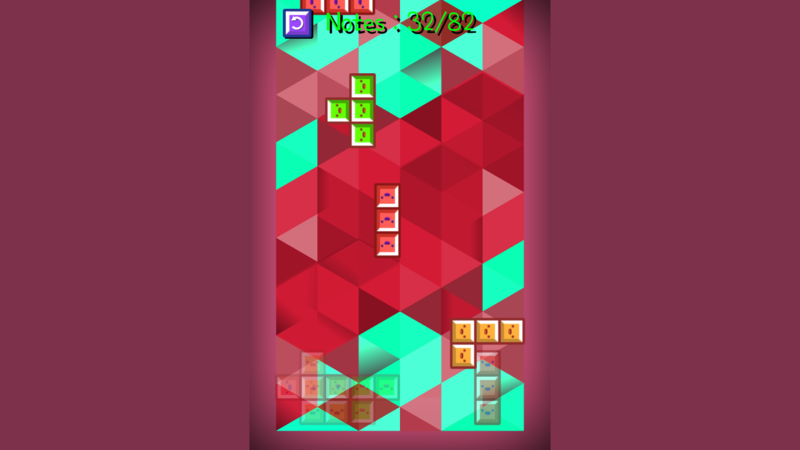 for your issue, you need to make sure that the block's face orientation is the same as the ghost! and yea I think I should put the counter at the bottom, thanks for your suggestion! Great visual style and a nice twist at the end! I think there were a few times where I messed up although the block was clearly making its way to the ghost. This could benefit from a shorter/faster song. yea that would be great, I actually made the currently active ghost to be more untransparent, but I think that's not really clear, so thank you for your advice! Really neat game! I think that it's really cool that it creates your song after you finish. I would like to see some other tracks and things but overall, pretty well done. I was really confused on controls even though I read them before, but hey, that happens!